TMNT Teenage Mutant Ninja Turtles Shellraiser Vehicle Boys Toys 96821. Once the window expires an unpaid item case will be opened. 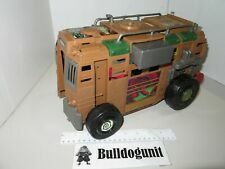 Up for sale is a TMNTShellraiser Vehicle Only. Missing Pieces. RadRotating Wheels for Ground and Air Transport. Rough & Tough Roll Bar. Year Released: 2002. (Review photo to exact condition). Lethal Ninja Star Launcher. 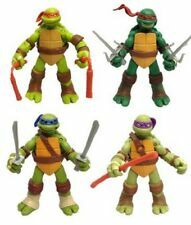 TEENAGE MUTANT NINJA TURTLES, Sewer Heroes, SUPER DON The Bad Boy Buster!! New, Never opened, Bubble intact except for bottom center, Punch hole there, Card is warped, Bottom right corner has a small crease. This is a very rare Teenage Mutant Ninja Turtles plastic binoculars in red and green. Create the perfect playroom or kid's bedroom with the Nickelodeon Teenage Mutant Ninja Turtles Playroom Solution from Delta Children. This versatile set includes a folding play table with two coordinating chairs and a multi-bin toy organizer. 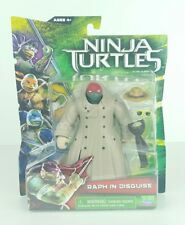 Teenage Mutant Ninja Turtles Shellraiser. The Teenage Mutant Ninja Turtles are unstoppable when they fight together, especially when they can team up and drive into battle in their amazing vehicles. Load up all the Ninja Turtles and take on Shredder with each vehicle arsenal of armor, weapons and shell kicking fun! (We usually will send it within 24 hours).